Dams are an integral part of our lives, providing recreational opportunities, power generation, flood control, wildlife habitat, and other important functions. More than 2,100 high-hazard potential dams are operating in the United States, as reported in the American Society of Civil Engineer's 2017 Infrastructure Report Card. Their failure could result in the loss of life for people downstream, significant damage to structures and infrastructure and loss of public services. Rarely are state dollars budgeted to prepare for and prevent the potentially devastating effects of a flood. Funding is much more commonly awarded once disaster has struck – and then it’s in the form of disaster assistance rather than prevention. However, a forward-thinking Wisconsin program has provided millions of dollars to help fund engineering and construction costs associated with municipally owned dam repairs or removals. Washburn County and its residents are among those who have been on the receiving end of these grant dollars. Wisconsin’s Municipal Dam Grant Program provides cost-sharing for dam maintenance, repair, modification or abandonment and removal, up to $400,000 per project. Washburn County was a successful applicant for the 2011-12 program and received a $400,000 grant – the maximum available – for an important series of dam safety repairs. The County hired Ayres Associates, which has served public and private Wisconsin dam owners for nearly 60 years, to complete a dam failure analysis for the Minong Flowage Dam. This 29-foot-high concrete gate and powerhouse structure impounds a 1,600-acre reservoir. The results of the dam failure analysis revealed that the dam was high-hazard and did not have adequate spillway capacity nor the required structural stability. Ayres Associates completed a feasibility study for potential modifications to the dam. Options considered were increasing spillway capacity, purchasing homes in the hydraulic shadow or removing the dam. 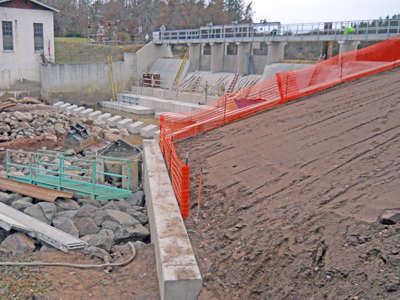 After Washburn County applied for and received a $400,000 Municipal Dam Grant for dam safety repairs the County selected Ayres Associates to design repairs to meet the high-hazard dam regulations. Improvements to the structure included adding 50 percent more spillway flow capacity; replacing three slide gates and two flashboard bays; reconstructing six spillway piers; stabilizing the steep embankments; repairing an inoperable sluiceway gate; replacing sections of a deteriorated sluice gate trash rack; adding a new stepped spillway; and replacing the old apron with a dentated endsill. Repairs were complete in 2014. Two years later, a significant rainfall event caused severe flooding nearby and would have overtopped the dam had the improvements not been completed. The repairs not only saved the dam from washing out but also potentially saved lives and prevented what would have been devastating damage to property. In the last four Municipal Dam Grant Program cycles, Ayres has successfully helped dam owners receive nearly $5 million in funding for 29 separate projects. For many cities, towns, villages, counties, tribes and lake districts, this funding to dam owners is immensely helpful. And, in the interest of protecting public safety and investing in the essential infrastructure they rely on, it’s also critically important. Chris Goodwin, PE is manager of Ayres Associates’ water resources group and served as water resources manager on the Minong Dam feasibility study and reconstruction project. His experience includes dam design, dam inspections, spillway hydraulics, dam hydrology, embankment design, dam permitting, and preparing emergency action plans and operations plans for dams. Ayres Associates is a multi-specialty architectural and engineering consulting firm providing services from a network of 13 offices in five states. 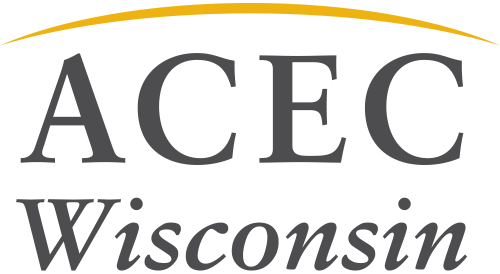 Ayres is a longtime member firm of ACEC Wisconsin.